Who’s Beach is it Anyway? Oh dear. 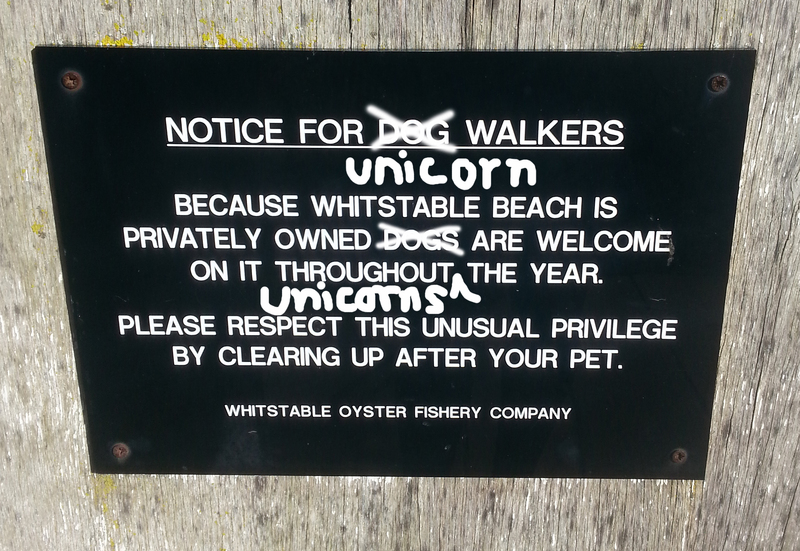 More controversy about ‘who owns the beach’ in Whitstable. This story has been rumbling on for DECADES and I find it perpetually amusing. The locals just can’t accept that their beach is privately owned – yet it’s true. Like a simplified fairytale, the locals would have Barry Green and the Whitstable Oyster Fishery Company cast in the role of the evil overlords of their feifdom. They have taken posession of the town, held the humble, defenseless villagers to ransom, stripped them of their right to use metal detectors on the beach and forced the town to become – economically vibrant and successful! Oh. That’s not how it goes…Lol. No. And that’s becuase Barry Green is a GOD. “If Barry had not bought the Whitstable Oyster Company and preserved it and the surrounding buildings the Oyster Stores would have been demolished. They were slated for demolition. Barry saved the building and by doing so saved the town. Here, here. But don’t those locals go on. Honestly! I’ve read people on Facebook paranoid that the Greens will put a toll booth at the end of the Street! The issue blew up again last year when a campaign group tried to register the beach as a village ‘green’ (how stupid are these people – when did you last see a green pebble??). It got rejected – read the article here. See how normal Green junior is – he’s wearing rigger boots! Oh look – Bretts. GRRRRRR! I got to know Barry and his bonkers wife quite well in the 90s when me and Pip were just weekenders. I was always very impressed with his commitment to business development and how personable he was. I only saw him pinch a waitress’s bottom once, but y’know, if you’re the governor, you get the perks right? All of that, surely can be forgiven if you can single-handedly turn the fortunes of a drab, lifeless, jobless, dull seaside town around and turn it into something – Whitstabubbly. Because actually, what Barry Green has done is like sprinkling Unicorn doo doo on the town – it’s made it all…magical. Thank you Barry. I still think £35 is too much for some grilled fish but I’m tight these days. Lol! But on a more serious note, what do people think might have become of Whitstable if the Oyster Stores had never opened? 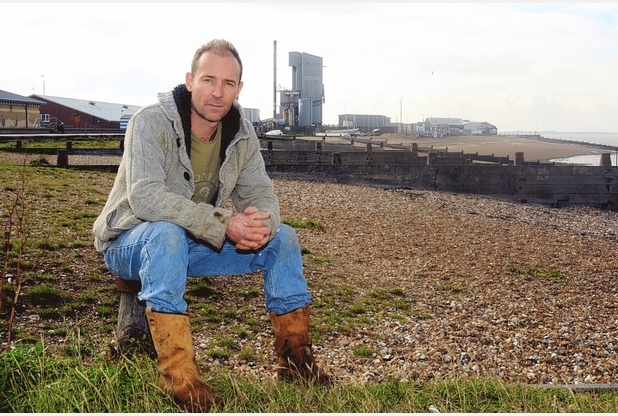 I’ll tell you…it would have become like HERNE BAY. Just don’t go there. Unless you want to buy a carpet or you only have a pound.